Happy Saturday! I'm extra early on this beautiful, sunny Saturday morning getting my car serviced- so I have a couple hours of hanging out in the waiting room ahead of me and thought I would I stop on by. This week involved a lot of overtime at work, seeing a few friends, and then last night Tim and I went to see The Jungle Book! My mind was a little foggy on the original Disney movie since I don't believe it was one of my favorites as a child. However, the live action movie was very well done and both Tim and I enjoyed it immensely! I personally am getting super excited about the future Beauty and the Beast movie starring Emma Watson that was announced. Beauty and the Beast was my favorite as a young girl and still remains my favorite Disney movie to this day! You better believe we will be attending opening day for that movie as well! What Disney movie is your favorite? I wanted to share a dinner and breakfast that Tim and I had last week. I have honestly never been a great cook and never truly enjoyed cooking. 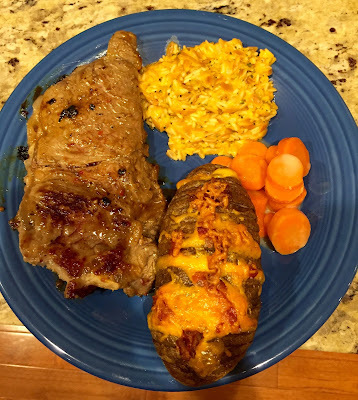 Tim however loves to cook and it is fun when we are together in the kitchen cooking dinner! 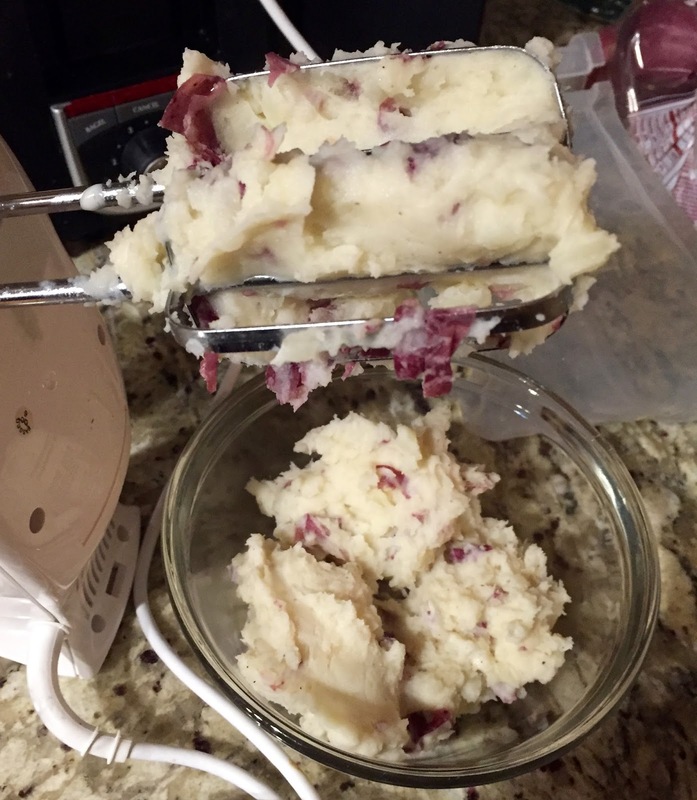 I decided to make mashed potatoes to contribute to a dinner last week and used my friend Rachel's recipe! 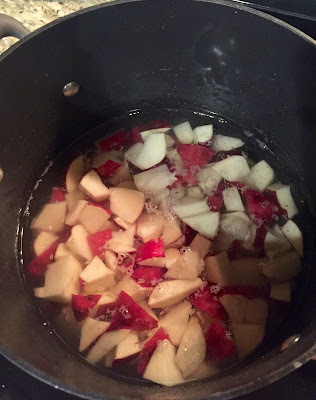 First I cut up potatoes into smaller pieces and then boiled them in water. 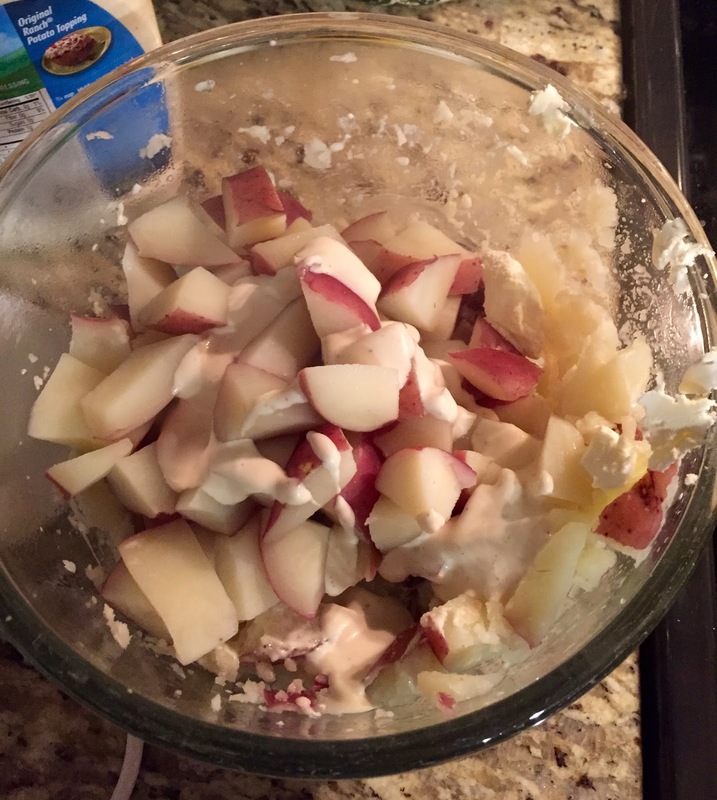 Once they were warm and ready I used my mixer to mash them up. 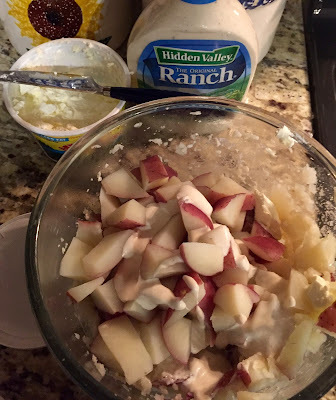 I mixed in butter and ranch dressing which makes them taste sooooooo yummy! After a lot of mixing you have some delicious ranch mashed potatoes. I don't use specific measurements but just make them to taste. I will be making these again soon for sure since they are super easy. 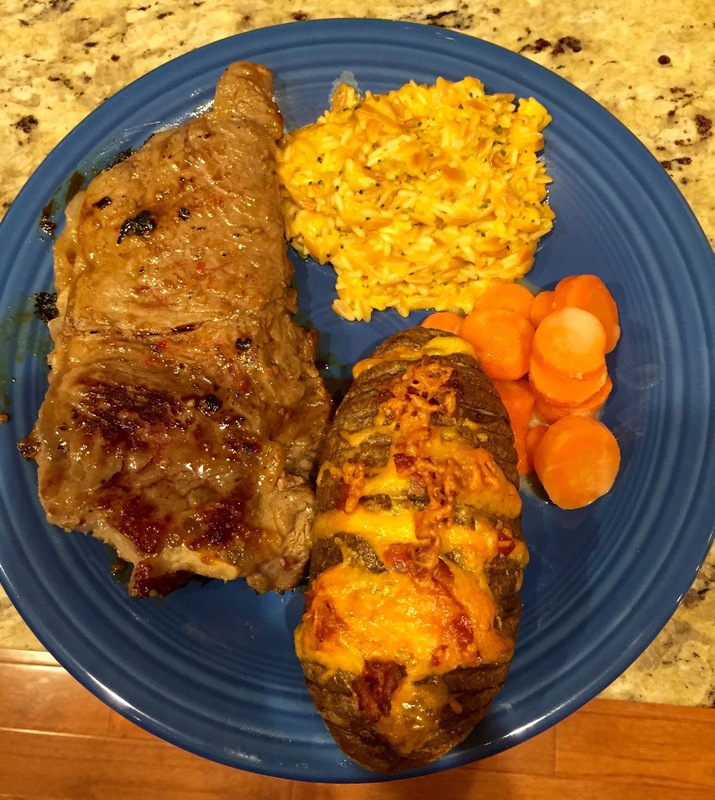 Steak marinated in Italian dressing, chicken rice, carrots, and baked potato with cheese and bacon! Bacon and cheddar cheese omelet with home made home fries. Did I mention what an incredible boyfriend I have? When I learn to cook a little bit better maybe I'll share some recipes on here with you, but for now I'm happy helping and taking pictures of the delicious end products!